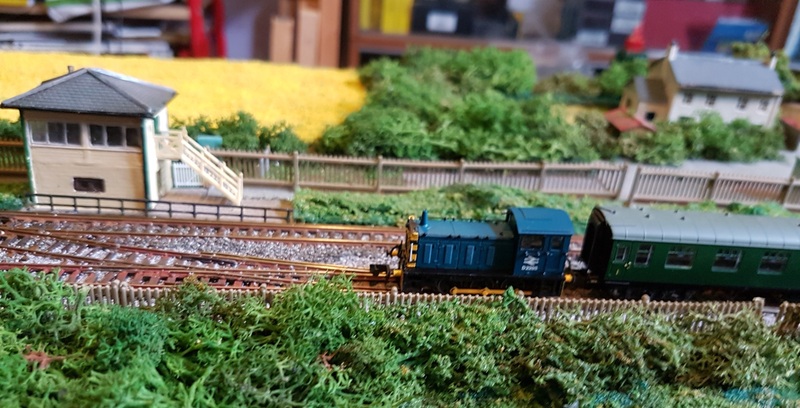 We’ve been meaning to carry out some maintenance on Aldersford, our late President Martin’s N-club modules, based on the Southern Railway station at Ford. The boards had warped, making running at last year’s ESNG show a little unreliable. 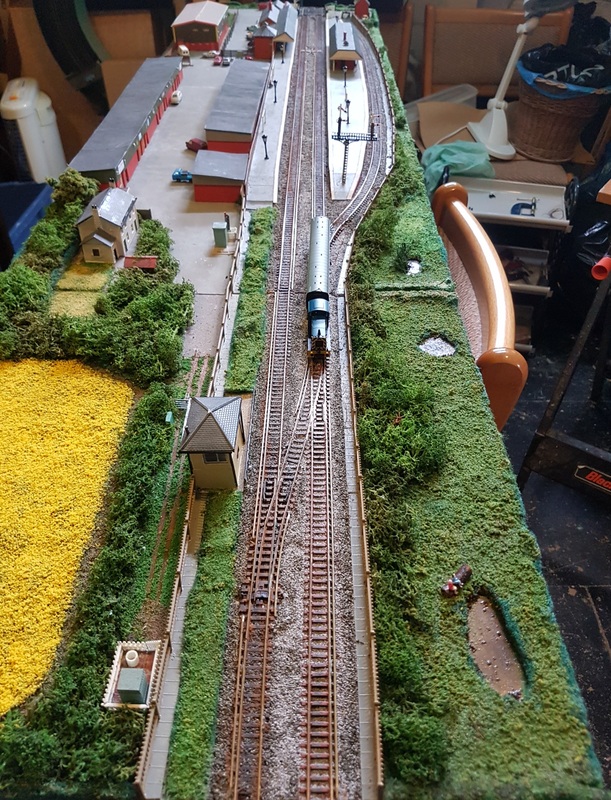 With a little more time on my hands, I foolishly offered to have a go at improving running, so the layout would be more reliable at Stuttgart. 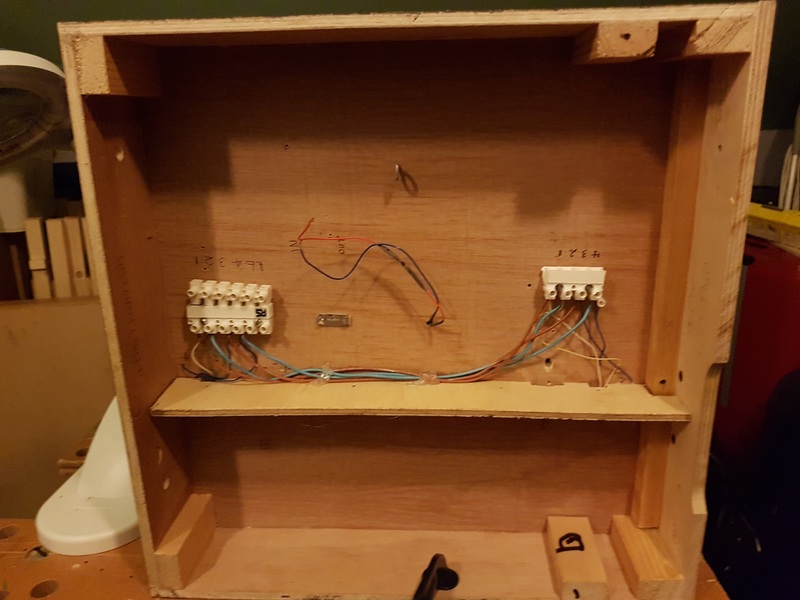 The other catch with the boards was that they needed their own power, as there were 11 switches to operate points, sections, and lights, with a forest of wiring underneath the boards. This would have allowed a train to reverse in the station bay platform. But we didn’t understand what the switches did, and operation was by trial and error. And we had only ever ran trains straight though the station. 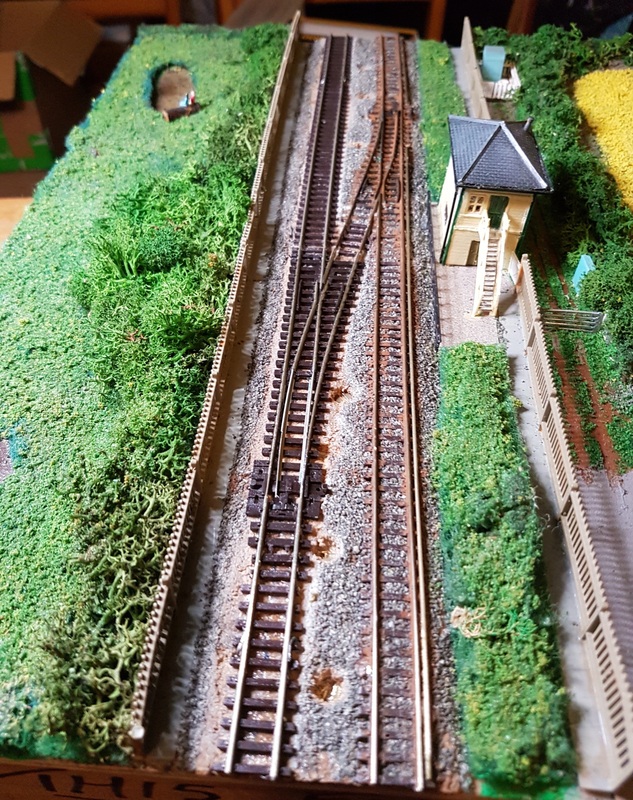 So I decided to solder the points to be set to the main line, and replace all the wiring with a simple N-club ‘bus’ from one end to the other. 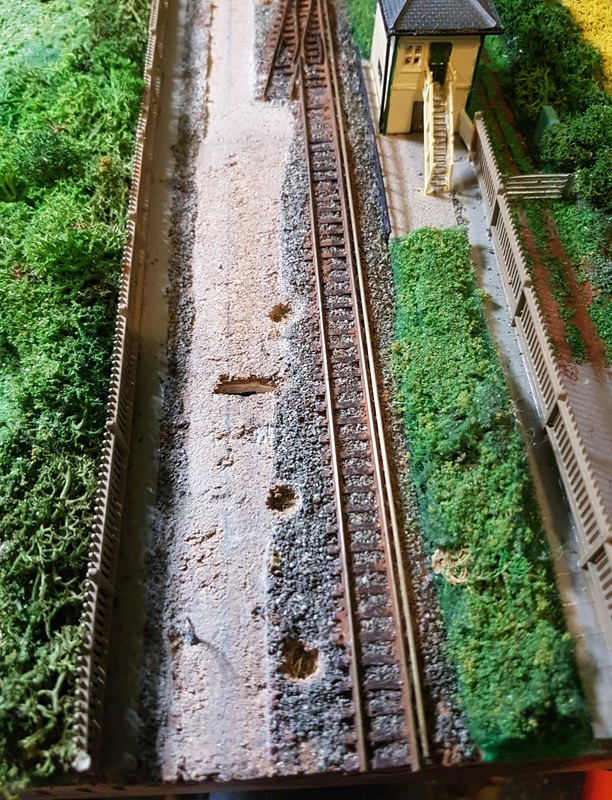 First job on the small board of the two, was to strip out the wiring that was in the way, and screw a ply and stripwood girder into place along the track centre line. This more-or-less flattened out the worst dip in the trackwork. Wiring and plugs were fitted to provide continuity through the module. However, one track still undulated too much for comfort, and the point was high – possibly as it was a Peco code 80 point linked to code 55 trackwork. So I did a swift PW job and lifted all of one track. A new code 55 point and track more or less flattened things out. 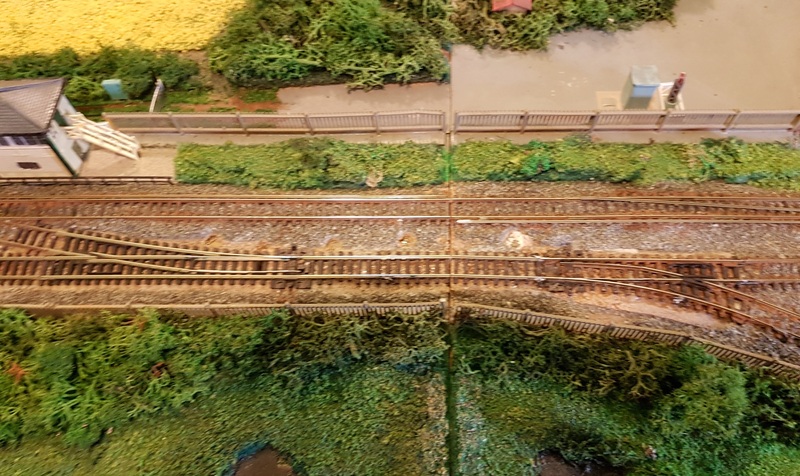 The new track was reballasted in due course. So to the second, long board. Once again, most wiring was removed, just leaving the lighting bus down the middle of the module. After a couple of false starts, I opted to use aluminium angle to flatten out the bumps in the board. Fortunately, this one wasn’t as bad as the short board, and although I couldn’t quite get all the gradients out, it’s a lot, lot, better. I then had to relay the point on the right and replace the track at the edge of the board. There’s still a little bump at the join, but it’s a whole lot flatter than it was before. And a ‘first’ train successfully run end to end on both tracks! Well, it’s far from perfect, but should run a lot better at Stuttgart and the next ESNG show. I still need to sort the lights (on the platform and in buildings) out. These had their own transformer, and frankly, we never used them. 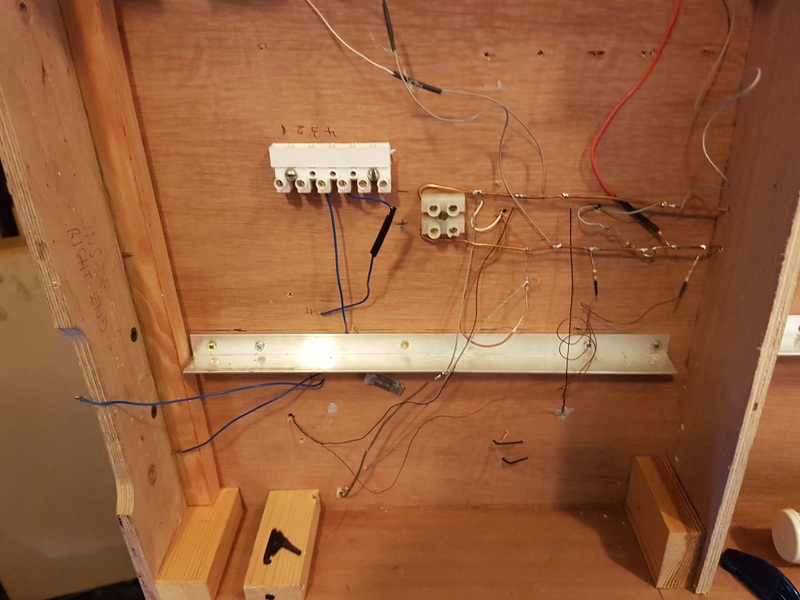 I will fit an AA battery pack under each board, so the lights can run without exterior power. Still, I think that’s a project to complete by the April show.